A cheap way to keep your pants riding high. These genuine Belgian Military Issue Roller Belts are made from 100% cotton canvas and feature brass plated hardware. 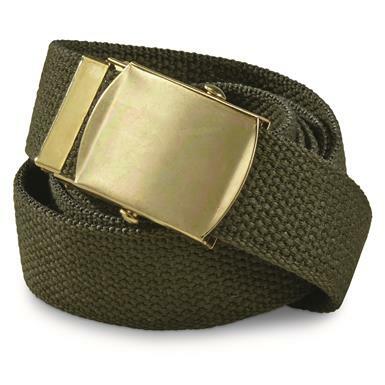 Each Belt is 54"l. and can be cut down to fit your exact size. Includes 3 Roller Belts for 1 low price.